We always ensure the the quality of our aged sirloin steaks by testing through taste. 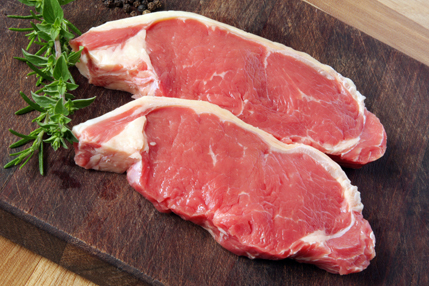 Our Sirloin Steaks are aged for 28 days or more so that you get a beautifully tender steak that is full of flavour and quick to cook, I can assure you they are delicious; so why not treat yourself and family to a superb juicy, tasty & tender steak. Our beef is direct from the farm and then aged in our ‘aging display’ cabinet so all our store shoppers can see the amazing carcass on display that is why our steaks are always amazing. TOP TIP: Season the sirloin with salt & pepper and place in tub with a couple of Bay leaves for at least a couple of hours; preferably overnight and your steak will be amazing.